Do you operate in the sporting market? 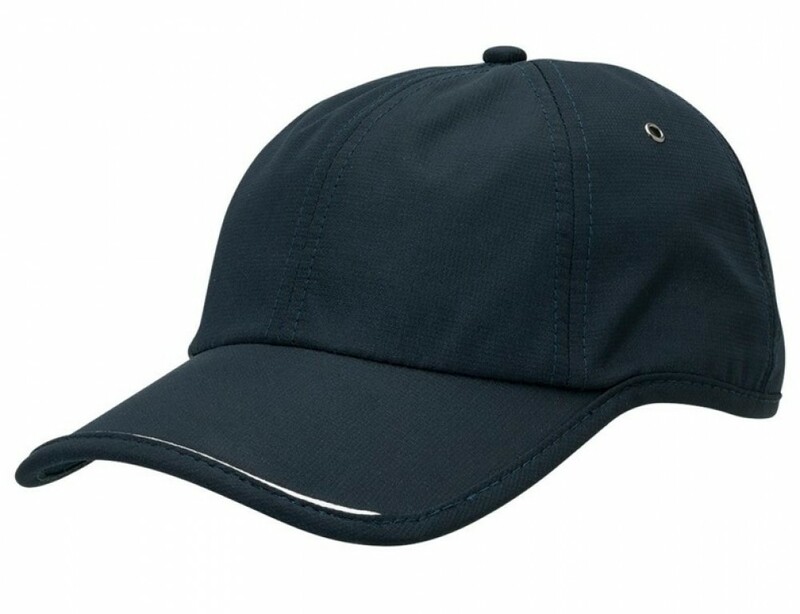 This cap makes the perfect promotional give-away for tennis events, golf events and other sporting occasions, that your company may host. Choose your backdrop from a stylish black and white, cool grey, navy and white, white and black, and let us embroider your personalised logo onto the cap for maximum exposure where it matters. The cap features a neat two-tone design with a solid body colour and a hint of contrast trim strip peeking out along the front of the peak edge and side panels. The caps are made to the highest quality standards with double stitching for strength and durability. The fabric is a lightweight bonded polyester that will never fade or loose its shape no matter how often it is washed. Care for the cap by using warm water and air drying. The unstructured six panel design and internal padded cotton headband offer the most comfortable fit and controls sweating in hot weather conditions when enjoying an outdoor sporting event. Delivery of this product is within Australia only. Our pricing includes 8k embroidery of your graphic which can be placed on the peak, sides or back of the cap. Embroidery can accommodate the multiple colours of your logo and graphics. A set up of $50 applies for orders under 50 units. Please note that pricing excludes GST.